So you’ve finally saved up enough cash to go to Hawaii, but you’re afraid that once you get home, you won’t be able to afford the mortgage payments. It’s a good thing that vacationing in one of the most exotic U.S. states can be done on a budget if you plan carefully. Boasting seven climates across its islands, it’s not uncommon for visitors to plan trips to each of the major islands separately, spreading out the experience over a lifetime. On Hawaii’s most popular island, Oahu, there are many ways to save big and still plan a great memorable and exiting vacation. According to Hawaii-guide.com, there are pros and cons to travelling to Oahu depending on the season. Spring is an ideal time to visit. Typically a dry season with highs near the 70-degree mark, spring also has a generally low tide, so if you’re looking to surf or wakeboard, this may not be your season. After mid-April most airfare and lodging prices drop, so the chance of getting a good bargain is high. Spring is also a visual feast, with beautiful vegetation and flowers blossoming across the island. Summer can be very crowded, since the temperature is ideal. Also, airline tickets will skyrocket, though you can find lower rates and accommodations on rental cars. Fall means more rainfall but it’s an ideal time to travel, but great weather otherwise. There are less vacationers and huge incentives to get visitors into circulation, so it’s the best time to travel, and you won’t be wading through any huge crowds. You may consider planning your fall trip for September, October, or November. Winter means a higher volume of vacationers trying to escape their own snowy winters. Hawaii’s tropical climate makes it the perfect place to get cozy during the holidays. Keep in mind that prices are typically higher and you should expect to pay more during winter. If you dislike crowds and want to save money, now is not the time for you. First thing’s first—package your flight, hotel and rental car. 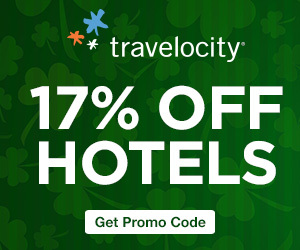 Websites like Expedia.com and Travelocity.com offer great packages on bundling. Do your research and compare prices, and don’t forget to clear your browser for cookies. Travel websites have a tendency to hike prices if you’ve logged into their page more than once. Most of the streets in Honolulu are one-way. Tour guides will be the first to tell you that the traffic can be a pain if you don’t know the routes, so pick up a GPS if you decide to rent a car. You will save time and money. Get hotel vouchers and coupons. Travel pamphlets offer coupons at almost every hotel that can save you on deals on things like guided tours, surf lessons (sometimes free), and luaus. Ask your concierge what the hotspots are and where to find good local restaurants at low prices. Drive—you can see the whole island in a day, get beautiful pictures and memories and have an adventure all your own at lower cost. Pauli Highway is particularly beautiful and cuts through the interior mountains of Oahu. Along the way, you can stop at Nuuanu Pali State Park, which offers a breathtaking view. The first thing you’ll want to scratch off your list is to take surf lessons and go to a luau. With so many board shops offering lessons and tutorials and parties across the island nightly, finding a good deal on either of these activities should be a piece of cake. Spend the day and relax at any of Oahu’s beautiful beaches. Waikiki Beach is the most visited, so there is always excitement. The North Shore is an hour’s drive from Waikiki. Relax at Turtle Bay near the North Shore. Book a snorkeling adventure at Haunama Bay in advance for better rates. See the sites. Most parks and beaches don’t have any kind of entry fee, so just mosey on in. Try to visit Punch Bowl Crater, and go hiking up Diamond Head, a dormant volcano cone that boasts multiple climates, where you can get a fantastic 360 degree view of Oahu. Makapu’u Point is a hike uphill an hour each way. Do it early and you can view Waimanalo Bay, Sandy Beach and Koko Head. Other popular sites include the Pearl Harbor and Arizona Memorial, and the Dole plantation, located in the center of long and winding rows of pineapple crops. Walk through Honolulu and see if you can find popular sites like Kamehameha I statue and Aloha Tower. Visit the Polynesian Cultural Center. The Center can take up to 9 hours to visit, because there is plenty to do: shopping, dining, IMAX, shows, and more. Even with all that, you’ll l have barely scratched all that the island of Oahu has to offer, so be sure to make a plan that fits your budget, and your interest. Angie Picardo is a staff writer for NerdWallet, a site dedicated to helping travelers find the best credit cards. Disclosure: Please note that some of the links above are affiliate links, and at no additional cost to you, we will earn a commission if you decide to make a purchase. We are in Hawaii right now and have found a few other ways to save money. Yesterday we spent eight hours exploring the Road to Hana by using the Gypsy Guide, a per-programmed GPS unit that explained many out of the way stops to make. Although not free, it was far less than what we could have spent on a guided tour and we saw many things other people we ran into later in the day had completely missed. All in all, a pretty inexpensive way to spend an entire day. Many stands along the way provided snacks and picnic possibilities. We plan to rent one again when we arrive on Oahu later today. Rental costs are based on the number of days rented, we only used it for one day, so we paid the highest daily rate of about$40. We wish we’d had it for all of our days on Maui. The first day we were here, we made sure to locate a farmer’s market where we were able to stock up on local fruits and treats to enjoy in our hotel room. This has meant only eating one large meal out each day. For that meal, we try to eat local and stay away from the more expensive chains. I live in Hawaii (Oahu), and referring to the downtown region (where the Kamehameha statue/palaces/missionary housing/Aloha Tower is) as Honolulu is a bit misleading because Honolulu spans a third of the island, not somewhere you can just “walk through” exactly. @Kyle – That would be fun – snorkeling and, like you say, pretty inexpensive. @Lilian – Thanks for the local knowledge!